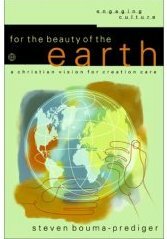 The age of the Earth is and should be a secondary doctrinal issue within Christianity. 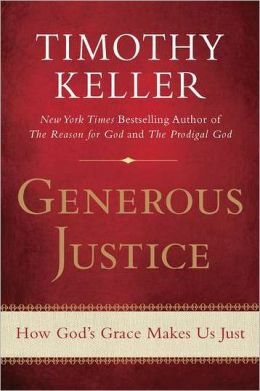 It is not up there with central Biblical teachings such as the Trinity, the deity of Christ, or justification by grace alone through faith alone in Christ alone. Nor is it up there with doctrines such as baptism, the Lord’s supper, election, and the work of the Holy Spirit, all of which Christians have differences on. Some young-Earth creationists will say that the reason the age of the Earth is a primary issue is because if one does not interpret Genesis the way they do, one denies the authority of the Scriptures on which all other doctrines are based. This allegation is demonstrably false. Like many other old-Earth Christians, I believe the Bible from the very first verse, and my old-Earth beliefs do not compromise a single core doctrine of the faith. Christian: Can I be a Christian and differ with you on baptism? Christian: Can I be a Christian and differ with you on the timing of events in the end times? Christian: Can I be a Christian and differ with you on the Holy Spirit? “The cosmos is all that is or ever was or ever will be.” — Carl Sagan, from Cosmos. Which of these two quotes is a scientific statement, and which is a religious statement? The initial reaction most people—including Christians— have had when I have asked this question is that the quote from Genesis is a religious statement, and the quote from Sagan is a scientific statement. In reality, both statements are religious or philosophical in nature, but only the Genesis quote is fully compatible with the universe as we know it. I won’t dispute that the quote from the Bible is a religious statement. 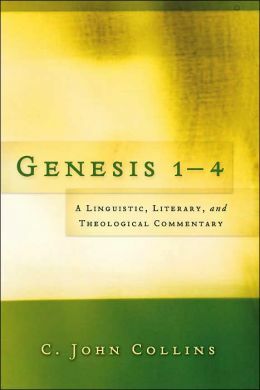 If religion is about God and his relationship to the universe and humanity, then Genesis 1:1 is clearly a religious statement. Carl Sagan’s famous Cosmos statement is also a philosophical—and I would say religious—statement. Sagan had not observed that “the cosmos is all that is or ever was or ever will be,” nor had he nor any other scientist done an experiment which proved that God doesn’t exist or isn’t necessary. In other words, Sagan had not used anything like “the scientific method” to arrive at his conclusion, and his Cosmos quote is a philosophical statement, not a scientific one. 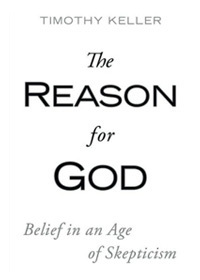 Atheists such as Sagan would say that science has explained everything from nuclear fusion to sexual reproduction without any need for inserting God into the process and so their faith that there is no God is justified (faith is the right word, even if they would scramble to say it in a different way). But in doing this they are confusing categories. It is one thing to say that stellar evolution or meiosis can be explained without inserting a “God did it” step. Christians do not insert a “God did it” step into these processes either. However, it is an entirely different matter to explain why there is a cosmos at all. This question is outside of science, and is one that theists have a better explanation for than do atheists. In the universe we live in, things do not pop into existence completely out of nothing. I am not talking about random quantum fluctuations creating subatomic particles here and there, because these particles are not truly popping up out of nothing. By nothing, I mean nothing — no space, time, matter, energy, nor laws. Because of this, it is incompatible with what we know about the cosmos—that is, it is incompatible with science—to believe that the cosmos came from absolutely nothing, or that it somehow created itself. GENESIS 1:1 IN KLINGON — Creationism.com has Genesis 1:1 in Klingon. I guess that might come in handy if a Klingon shows up at the next Answers in Genesis conference. For those of us who don’t know the Klingon alphabet, there is an English transliteration. I actually don’t look at this as a useless exercise. If I were a Trekie who was into learning Klingon, I would want to be able to communicate the gospel in a way that my fellow Trekies could relate to. YEC EXPEDITION FAILS TO FIND LIVING DINOSAURS IN CONGO — From Creationtoday.org (formerly drdino.com): In Search of Mokele-mbembes. BIBLE TOWNS — The ten most Bible-minded cities in America. And the least Bible minded cities. A WILD RIDE — This doesn’t have much to do with Christianity, science, the Bible, etc., but this documentary on Al Jazeera was fascinating: Risking it all: Pakistani truckers’ perilous journey. Here’s my “potential” story from Roe v. Wade week two years ago: Fifty million little leaguers and pianists later. Six bad arguments from Answers in Genesis (Part 1) — Fossils at the top of Mount Everest are not evidence for a global flood. 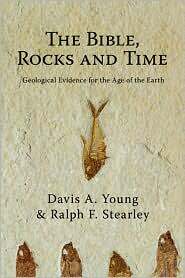 Most fossil-containing layers, such as crinoid-rich Mississippian limestones, are extremely difficult to explain using young-Earth creationist flood geology. How did all of those fossils stay together in an ecological package in a global flood? Six bad arguments from Answers in Genesis (Part 2) — A global flood is not necessary to explain “fossil graveyards.” In fact, a global flood would scatter fossils vertically and horizontally, and would abrade delicate structures that are preserved in the finest fossil specimens. Six bad arguments from Answers in Genesis (Part 3) — There are sedimentary rock layers that cover well over a million square kilometers. Rather than suggesting global-scale catastrophism, the continent-wide extent of these formations makes the deposition of subsequent layers extremely difficult to explain by flood geology. 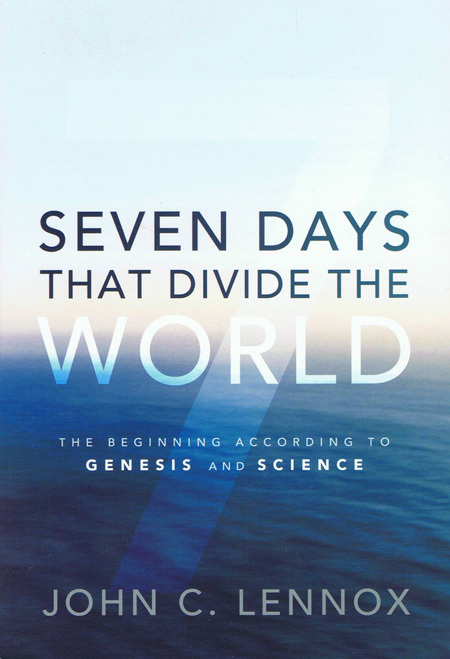 Six bad arguments from Answers in Genesis (Part 4) – The YEC claim is that it is impossible for normal geological processes to explain the transport of sediments from one side of a continent to another. But in reality, rivers such as the Mississippi, Nile, and Amazon do that very thing. Six bad arguments from Answers in Genesis (Part 6) — The YEC claim is that layers of sediment must be soft in order to be tightly folded. Both laboratory and field studies prove that this is simply not true, and it is usually straightforward to determine whether rocks were consolidated or unconsolidated when deformed. As you read these, it is important to keep in mind that the Bible nowhere says that the geological record was formed by Noah’s flood. 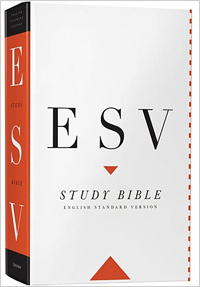 The Bible does not require a young Earth nor does it require a global flood. In light of this, no one should reject Christ or Christianity because of the findings of the geological sciences. Every few years, I have posted maps of every country, U.S. state, and U.S. county I have ever been in. It is time for an update. 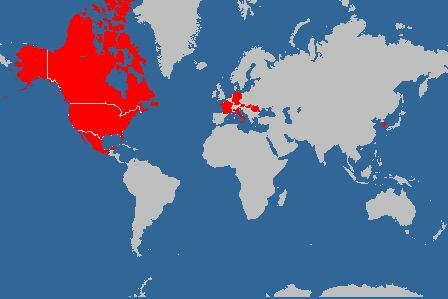 Since I last posted, in August 2009, I have added one country (South Korea), zero states, and thirty-one counties (in Kansas, Nebraska, Maryland, Pennsylvania, Washington, and Arizona). I do not have any airport-only countries or states, but I do have one airport-only county (Queens, New York), and one port-only county (Norfolk, Virginia). I believe that this is pretty accurate, especially after about age ten. I can remember, for example, the route my family took for family vacation from Montana to California and back in 1973 when I was twelve years old. I also remember the routes of some long bus rides: Billings, Montana to New Orleans for a national Lutheran youth gathering in 1976 (? ), and Bozeman, Montana to Daytona Beach, Florida for a Campus Crusade for Christ conference in 1982. I have lived in Montana, Utah, Montana again, Washington, Missouri, Romania, Colorado, Missouri again, and Montana again. Since I was in my early twenties, I have kept track of my travels with a highlighter in Rand McNally road atlases. I’m on my second highlighted atlas, and it is getting rather worn. 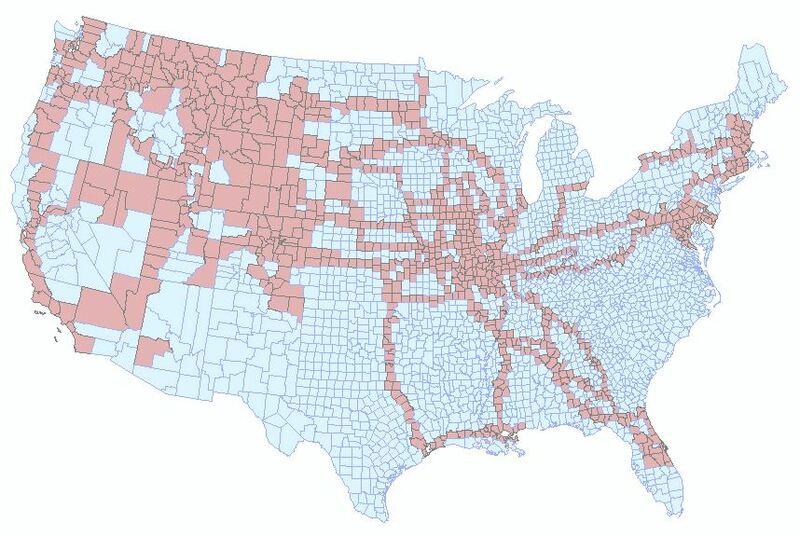 I was able to create the “Counties I’ve Been In” map by looking at which counties had highlighted roads in the the atlas. Grace and Peace, from a map nerd.